Rhiannon gained a MA in Zoology and then graduated from Cambridge University in Veterinary Medicine in 2005. Before joining the Hospital in 2006 she worked in mixed animal practice in Cornwall. 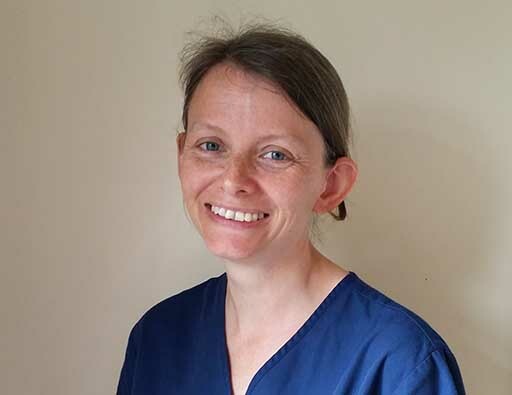 Rhiannon is particularly interested in medicine and in particular feline medicine; in 2007 she helped us gain our Feline Advisory Bureau Gold Award. Rhiannon is currently studying for a RCVS certificate in advanced veterinary practice (diagnostic imaging). Rhiannon has a cat called Malcolm who was rescued from the roadside in Cornwall and a recue Jack Russell called Bryn. Outside of work Rhiannon enjoys travelling, walking, reading and cooking.